Nintendo Switch has been the long promised and anticipated console from Nintendo. The innovative system promises to blend both worlds and become both a living room console and a portable gaming device. 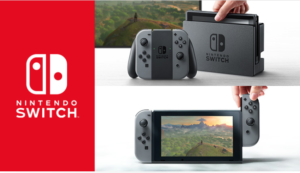 Nintendo has teased with a March 2017 release date for it’s new hardware. Next Next post: Find a Nintendo Classic Mini in stock! Best NES Mini In Stock tracker!